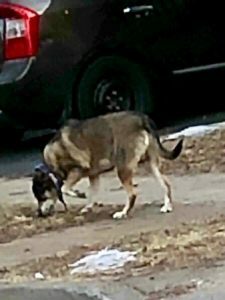 Additional Notes: This dog was sighted along Allan St, growled so could not get close. Not known in area. Animal Control has been called.